In India, mutual funds are doing really well because Indian investors are generally risk averse. The majority of people have a mindset that asset allocation involved in mutual funds is not easy to understand and only financial experts are hands on with it. Mutual fund investment is generally preferred by passive investors. Mutual funds are doing well in India because of the inherent risk-averse nature of its people. However, there are some myths that can influence an investor's mindset and affect the mindset. This invariably results in lower returns in the long run. The majority of people have a mindset that asset allocation involved in mutual funds is not easy to understand and only financial experts can know this better. But, this is not true. In every asset management company, there are fund managers who track different companies and sectors and help you make well thought-out investments. Fund managers pick the stocks that are doing well and have significant upsides left. They do all the hard work; so, in reality, you do not need to be a financial expert at all to invest and understand the world of mutual funds. Some people avoid investing in mutual funds because they have an element of equity. However, one must realize that mutual funds is not only about equity; it has a lot more to it. 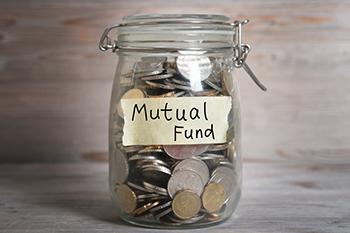 Mutual funds possess a debt and hold-cash component. So investing in mutual funds is in essence an investment in a financial product that possesses a variety of instruments and thus helps gain considerable profit. Today, most funds allow investments as low as Rs.1000, with zero limits on the maximum amount. In fact, the amount is as low as Rs.500 for investment in equity-linked savings schemes. Mutual funds also give the SIP facility in many of their plans that allow you to invest a small sum of your choice regularly. Investing in a mutual fund with lower NAV delivers good returns; this is another common myth related to MF. However, investing in a mutual fund is also subject to market albeit lesser compared to equity shares. Therefore, a good investment logic holds the key. NAV represents the market value of all investments. Hence, do not forget that the current NAV of a mutual fund does not have any impact on future returns. Investing in this financial instrument for a long-term has a slight advantage. But, it doesn’t mean this product is not for short-term investors. There are short-term schemes available in the market where you can invest from a day to a few weeks. It has been observed that each investment gives scope for higher returns in the long run.